On one day each year, the Wings for Life World Run takes place at several locations across the planet. Everybody starts at exactly the same moment, 11 am UTC. Whether it’s day or night, bright sun or pouring rain at your location – you’re running together with the world and sharing a fantastic experience. 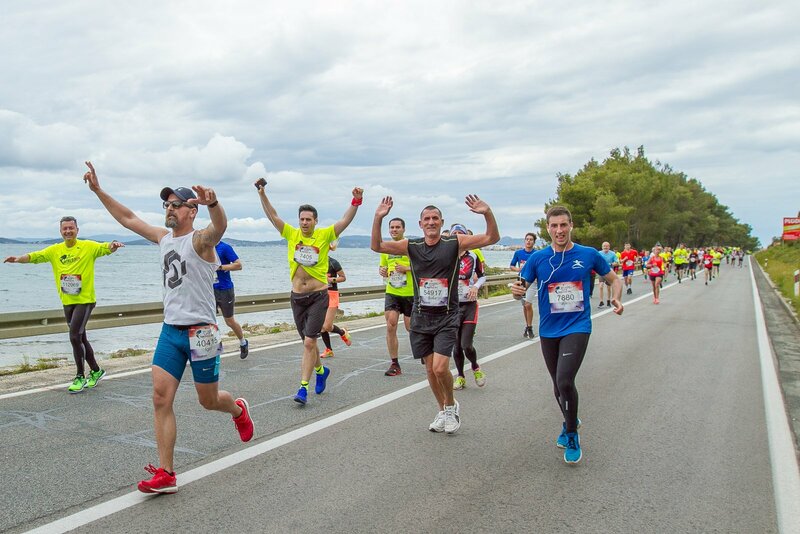 WfL 2019 in ►Zadar starts on Sunday May 5th, at 1 pm Central European Time Zone, and gives you an opportunity to run by the sea, starting from the beautiful core of the city of Zadar towards another Adriatic pearl – the city of ►Šibenik. These two cities are 75 kilometers away, and no one yet managed to cover the distance. 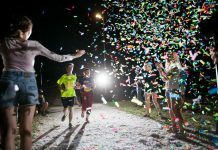 The record is 68 kilometers, and Karl Aumayr set it in 2018. 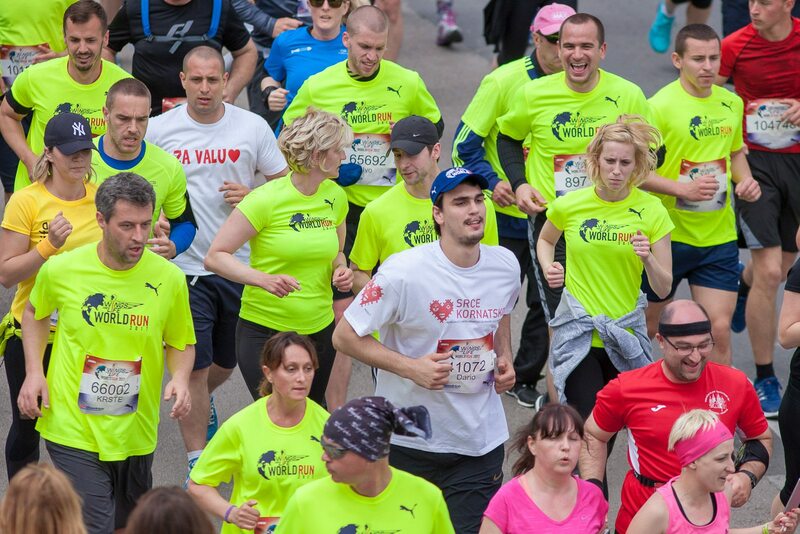 More than 100.000 runners race together against the chasing cars each year. 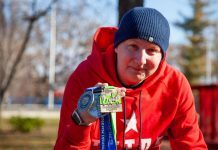 Every runner has his or her own small goal of how many kilometers to run before the car comes, but all runners in the world have the same goal – to help those who have spinal cord injuries. Zadar loves Wings for Life and is near the top of the WFL list of the most visited locations each year. 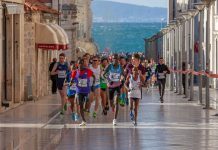 The atmosphere in Zadar is anazing – singers, DJs, comedians, and famous athletes are making the show during the whole event and runners are always in a good mood. At the starting line, you will meet various people – from Olympians to kids and elders who came to help those in need while having fun. 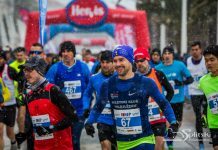 With each year there are more and more foreign runners coming to Zadar to enjoy this fantastic event. The race is being held at the same time in the whole world. Race day is usually a Sunday in mid-May. 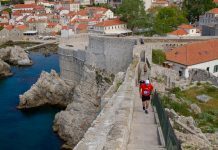 You can find all the info here, and sign up for the race in Zadar here. Place for safely leaving your stuff while running is always provided at the start area in the city center. You can come to Zadar by plane, car or bus. Zadar has its own small but modern airport which connects the city to other Croatian cities and many European destinations. Coming from the airport to the city is possible by bus or taxi. If you can’t find a flight from your country directly to Zadar, try looking flights to Zagreb. From Zagreb, you can then search a flight to Zadar, rent a car or take a three-hour bus ride. As said earlier, you can come to Zadar by bus. The central bus station is located near the city center, and it is also the main point of public transportation in Zadar. 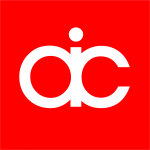 You can find all the information about the bus lines here. If you’re coming from Italy, you can use a ferry – there are lines to Zadar from Ancona. The ferry arrives a bit outside the city center, but there is a bus line that drives to the city (bus line number 9). 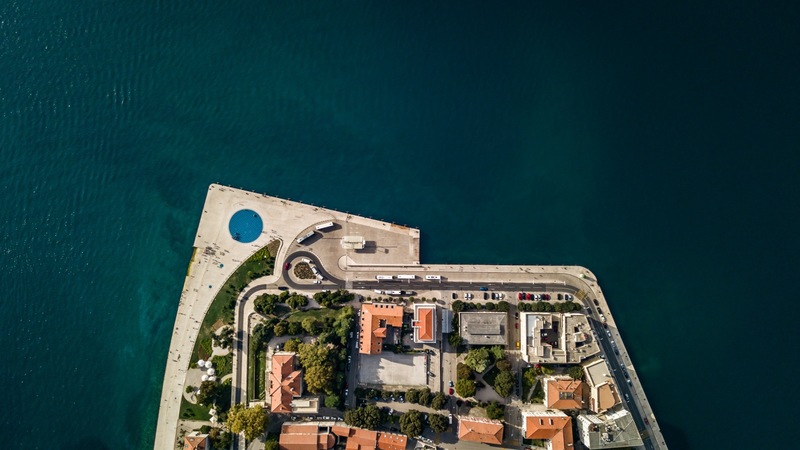 As one of the Croatian tourist centers, Zadar has rich accommodation offer – hotels, hostels, campsites, and private rooms and apartments. Zadar is a city monument, surrounded by historical fortification walls, a treasury of the archaeological and monumental riches of ancient and medieval times, Renaissance and many contemporary architectural achievements such as the first Sea organs in the world or The Greeting to the Sun. The last two are the main attraction of the city. It is a magical experience to be there, at the Istarska Obala, when the waves are coming, and the Sun is setting – really calming, just what you need after the lively atmosphere of the race. For those who love history – you will enjoy every nook of the city. Old gates, churches, palaces, and squares are all over Zadar – or Iadera, as Romans used to call it. The spirit of those ancient times can still be felt while walking in the streets of Zadar. May in Zadar is warm enough to go for a swim, so don’t miss the chance to do so. There are many beautiful beaches, but the sea is clear everywhere, so you can jump right in wherever you want. You need to come to Wings for Life in Zadar – both for yourself and for those in need. You’ll be running together with athletes, casual joggers, and wheelchair users. The young and the not-so-young. Everyday people and famous names. 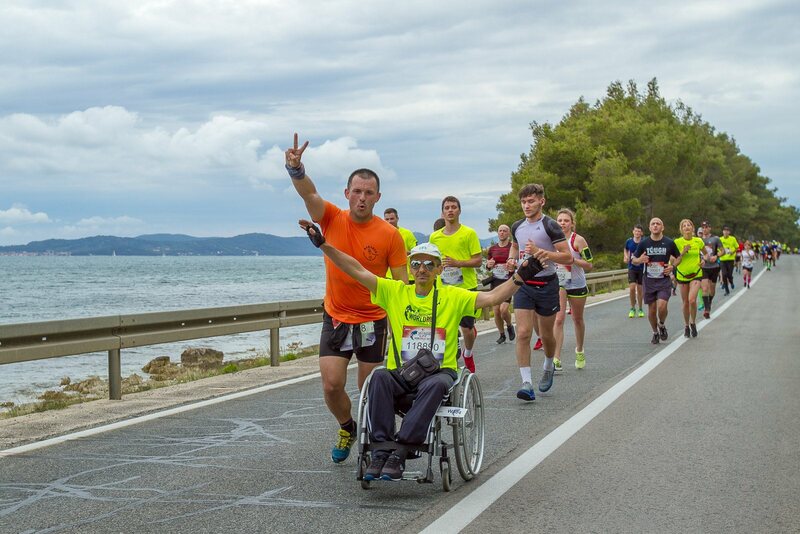 Run in beautiful Zadar for those who can’t!